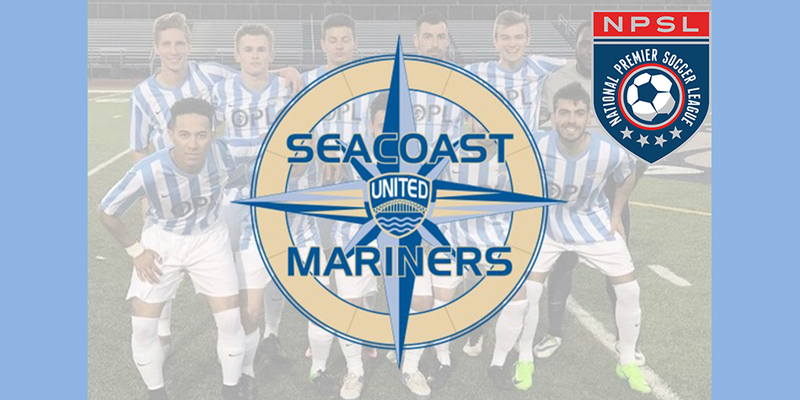 The Seacoast United Mariners are currently preparing for their seventh NPSL (National Premier Soccer League) season which kicks off on Saturday May 19th in Providence RI when they will face the Rhode Island Reds. Matt Gordon will be this years head coach and he will be joined by Jim Hopkins who returns for his fourth year of involvement and Martyn Keen who has been with the team since it’s inception in 2012. Satisfyingly for our administrators, this years squad features a number of players who have played with Seacoast since the were pre-teens. Meaning they will have progressed up through the entire pyramid structure of the club, from the broad base represented by our junior academy, right up to the tip represented by this NPSL team. NPSL is the fourth tier of the U.S. Soccer pyramid behind only MLS - Major League Soccer (23 teams), the USL- United Soccer League (33 teams) and the PDL - Premier Development League (74 clubs). The most successful NPSL teams gain entry into the U.S. Open Cup which of course is a direct pathway to the CONCACAF Champions League. The Mariners are one of 98 NPSL clubs across the entire country and they will play in the eleven team North Atlantic Conference. In the regular season, they will play 10 games and among their opponents will be the famous New York Cosmos. That match up will be played at Bowdoin College 3:00pm on Saturday June 16th during the 32nd Coastal Summer Challenge tournament. We hope you will check out the home game schedule and make every effort to come out, support the team and watch some high level soccer. For more information and a full list of the Mariners' NPSL schedule Click Here!